Last week at the farmer’s market one of the vendors had large tubs of new potatoes. They looked really good and I knew they would be delicious roasted. Once I got home I looked for a recipe I had pinned for potatoes with bacon and cheese. In my opinion you could probably put bacon and Parmesan cheese on just about anything and it would rock. But when you put it on top of home grown potatoes? It is out of this world amazing! 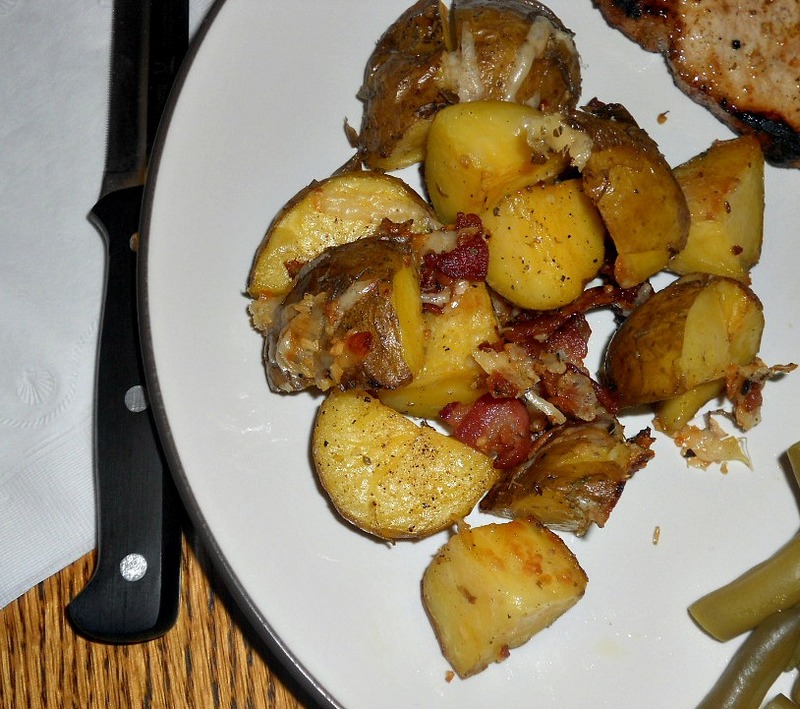 The potatoes are crispy golden brown on the outside and tender on the inside. 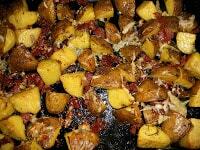 The cheese melts over top of the potatoes and the bacon gets crisp and flavorful. The oregano and pepper give it a little more seasoning. 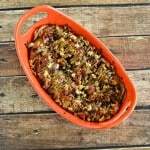 These are one of my new favorite potatoes and they would be great for a holiday gathering or a party. 1. Scrub the potatoes and place them in a large pot. Cover the potatoes with water and bring it to a boil. Cook the potatoes for 15 minutes. Drain and allow to cool while cooking the bacon. 2. Chop the bacon into 1/2 inch pieces. Cook the bacon in a skillet until golden brown but not crispy. Remove the bacon to a plate lined with paper towels. Reserve 2 tablespoons of bacon drippings. 3. Preheat the oven to 425 degrees. Brush 1 teaspoon of olive oil and 1 tablespoon of the bacon drippings on a large baking sheet. 4. 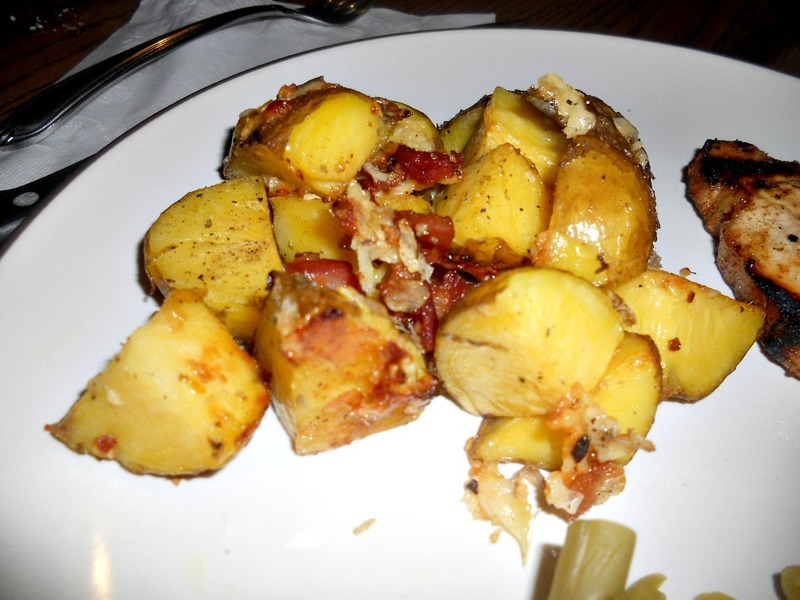 Cut the potatoes in half and then into quarters so that each potato is in eight pieces. 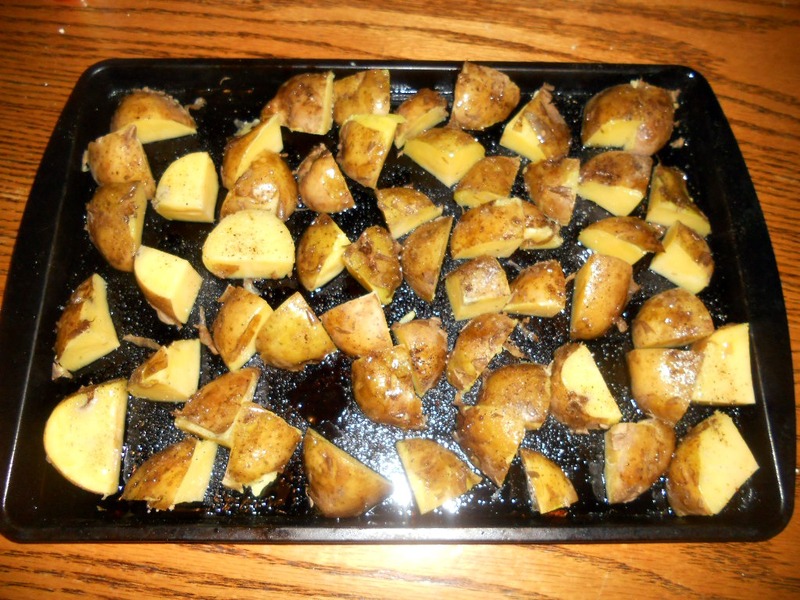 Place the potatoes in a single layer on the greased baking sheet. Sprinkle with salt and pepper. 5. Bake the potatoes for 20 minutes. 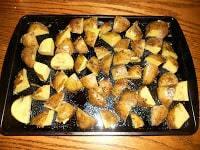 Remove from the oven and flip the potatoes over. 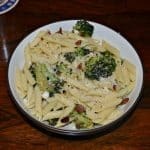 Sprinkle with bacon, garlic, Parmesan cheese, and parsley. Continue baking for an additional 20 minutes. One of my fav. Great flavors with the ingredients added. 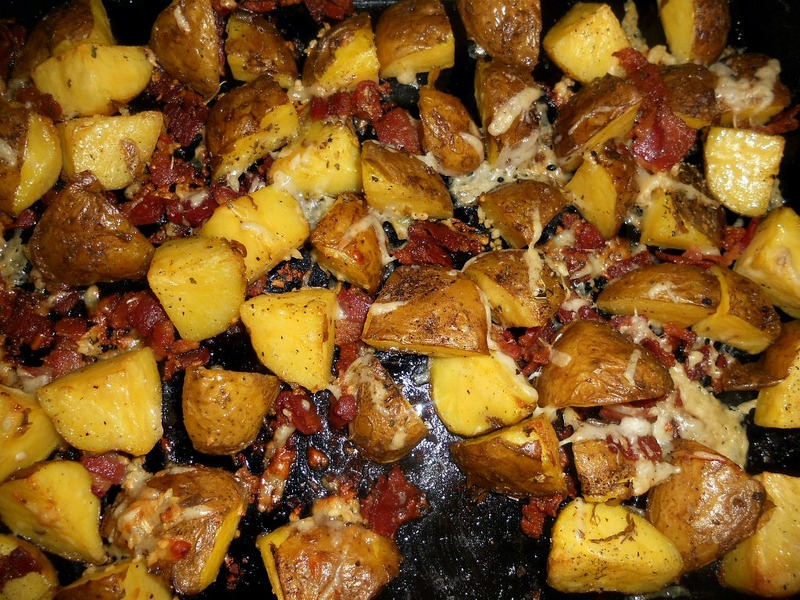 I love oven-roasted potatoes and I am positive that bacon and cheese make everything better. 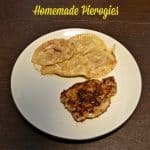 My husband will love these! These look wonderful. I make roast potatoes all the time but next time will be with bacon & cheese and maybe some green onion tops sprinkled over the top to serve.